You are viewing a list of Charles Carpenter's 2 appearances on Brooklyn Nine-Nine. As Jake and Rosa continue their search for a bank-robbing operation with Lieutenant Hawkins, they realize there's more to her team than meets the eye. After discovering a dangerous secret, they call for back-up from Holt and Pimento. Meanwhile, Boyle objects to Gina's new boyfriend. 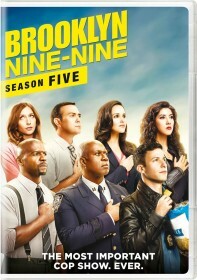 Then, Jake and Rosa are framed for a crime they didn't commit, it's up to the Nine-Nine to find a way to bust them out.